Photo by Matthew Owen for Annie's Publishing. Used with permission. This pattern of mine, called Tea Time, was just published in the Quilter's World Summer 2017 edition by Annie's Publishing. It has such happy colors! 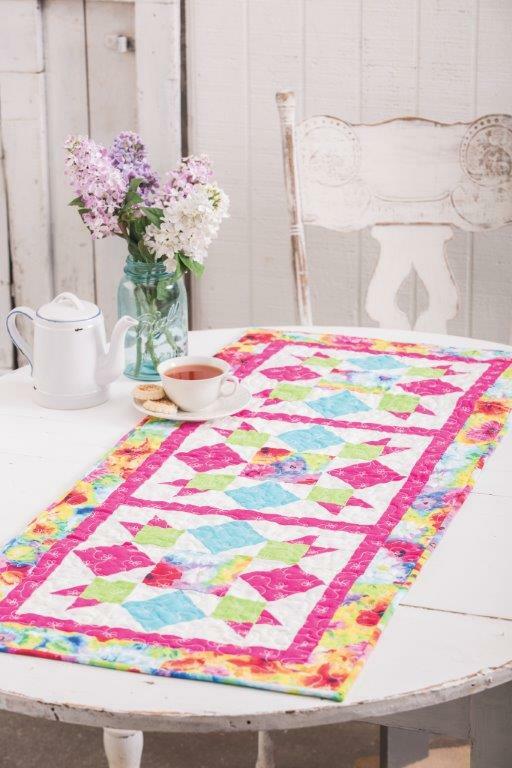 Three 12" blocks with sashing and border, plus well selected fabrics, make is a quick project. This pattern is great for showcasing special fabrics if you use solid fabrics on the blocks except the center. It would also look great with novelty prints so it can be customized for different seasons and holidays. I was in the mood for flowers so I picked these fabrics from the Ambrosia collection by Timeless Treasures. Cool choice, huh? 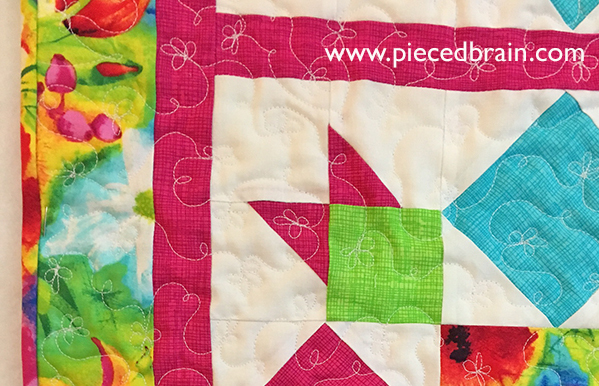 I like the fact the primary color fabrics read like solids but have a fun texture to them. Tea Time just returned from the publisher as we begin to celebrate Spring. It has already taken residence on the coffee table in the family room. 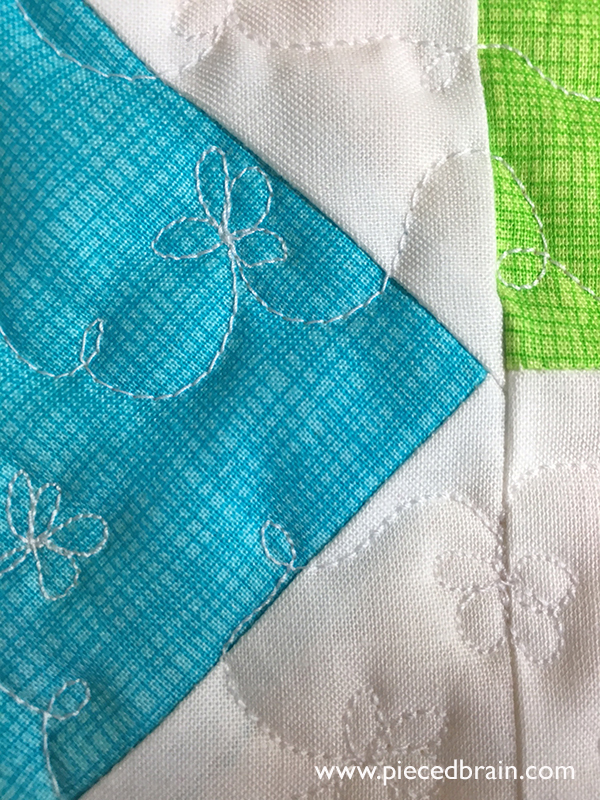 I free-motion quilted it with a floral loop motif, and love how it turned out. 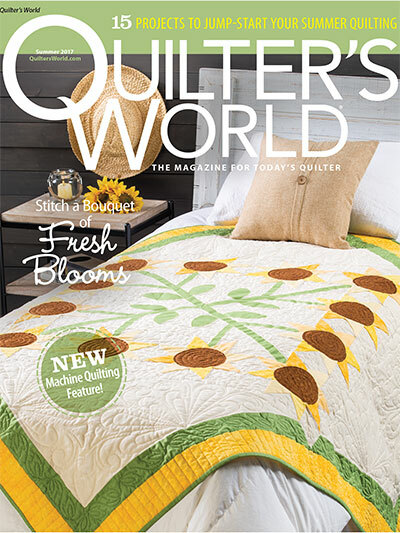 This issue of Quilter's World has many fun projects. As soon as I finished the projects (yes, plural!) I am working on, I want to make Star Bright on page 23. Gorgeous design, too! Congratulations! Love the bright colors! Great colors! Love the pattern! Congratulations on a great pattern.